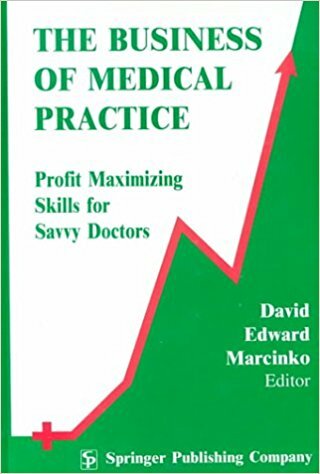 Despite the ravages of managed care, market competition, the ACA and insurance reform, doctors [MD, DO, DPM, DDS, DVM, OD, DNP, DC] and other medical providers [CRNA, PA, NP, ANP, RN] are still high-income earners; although they may not be prodigious savers or savvy investors. They are besieged with federal and state policy mandates, rules and regulations, and often work 80-plus hour weeks. Business acumen may not be good, either. 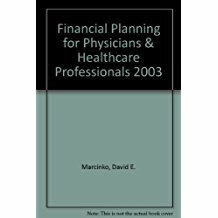 Thus, there is a tremendous need for integrated financial planning and medical management advice that makes them ideal clients for the modern Certified Medical Planner™. 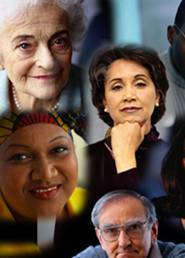 But, doctors also realize that they are targeted by impostors on all levels. And, in as much as time compressed medical providers are often difficult clients to meet, acquire and work with; some may not accept poseurs gracefully. Moreover, the American Medical Association [AMA] is considered out-of-touch with today’s physicians despite a recent multi-million dollar campaign to overhaul its brand image. The effort increased membership by 2.5 percent, but didn’t turn around a decade long decline. The AMA jettisoned its logo, overhauled its marketing, and launched a mix of print, TV and radio spots. Nevertheless, it represents less than 15 percent of the more than 800,000 doctors in the United States; a fact used against it during hearings by rival lobbies such as the health insurance industry. And, contrary to the belief of many FAs and consultants, the association has lost political might, too! [Chicago Tribune, May 24, 2006]. Some consider it a relic of the past; especially younger physicians with other advanced degrees who may be more sophisticated in their own right. For the contemporary doctor, it’s a unit-of-one health economy out-there, where “Me Inc.” is now the standard and physicians must maneuver for advantages that boost credibility among patients and payers. They must challenge conventional wisdom, and think outside-the-box to recapture their dreams and ambitions. They need the assistance of an informed CMP™ practitioner. 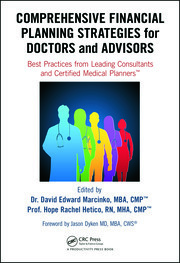 Like medical specialists, as an FA or consultant, you must differentiate yourself, too. You must learn something new and unknown by your FA competitors. You must earn your educational accomplishments and let the world know. Be a non-conformist. The conformity of collaboration may be an emerging financial services industry standard, but it also may be a straitjacket on creativity. FAs and consultants should create and innovate; not blindly follow FPA and other leaders into oblivion. And so, understand that the present is not necessarily the future. Attempt to see the future and discern your place in it. Master the art of the quick change, and fast but informed decision making. Do what you love, disregard what you don’t, and let the fate’s have their way with you. 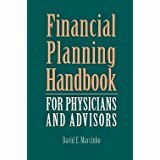 Then, decide for yourself if you should become a CERTIFIED MEDICAL PLANNER™ fiduciary or adhere to yesterday’s entrenched bureaucracy. Here is a strong argument to “raise the bar”. Source: MGMA Physician Compensation Survey, 2007. According to Russ Alan Prince, there are 50,000 physicians with a net-worth of more than 5 million dollars; controlling more than 375 billion dollars. So, what’s next? We believe in Predictive Analysis, the scientific name for using a data ware-house and gut heuristic feelings to determine where business intelligence is headed. It involves running historic data from the medical and finance industries, using mathematical algorithms, neural and Bayesian networks, and decision-trees; to identify patterns, trends and predictable future outcomes. The ability to make such a guess is the key to success; and exploring new niche market opportunities. The idea isn’t new; insurance companies have used actuarial tables for years, and actuaries use Predictive Analysis to assign credit-risk score to borrowers. What’s different now is that iMBA is using Predictive Analysis as an ethical and high-level cognitive prospecting tool to assist the medical profession; because Healthcare Administration and Finance Matters. The result is a re-engineered financial advisor and medical management consultant. To the benefit of all concerned. As educators, financial advisors, doctors, nurses, PhDs, MBAs and healthcare economists, a large part of our job at iMBA Inc … is to make your job … well, easier. 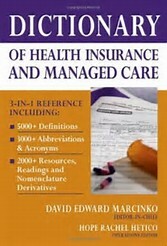 Need a new story about health insurance or financial reform? 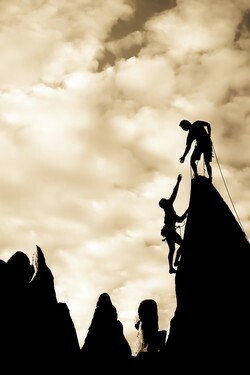 Require a quick quote on the rise of collaborative medicine, new-wave practice management or e-Health 2.0? Wondering if financial advisors should be concerned about the latest health industry trends or how fluctuating management, technology, insurance, investing, policy and bank lending practices might impact medical practices, advisory practices, RIAs, the economy or stock market? Need an essay, article, trade-magazine, other publication or traditional white paper? Even better yet … you need a story idea, informed quip, or subject matter expert opinion … and you need it yesterday. Contact us today! As nationally known subject matter experts and industry “thought-leaders”, we’d be happy to field your questions and give you something you can really write home about. Have a new job? Won an award? Got a promotion? Published a book? 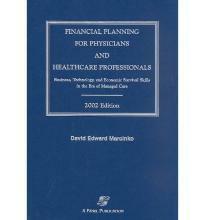 We want to know what Medical Executive-Post and Certified Medical Planner® charter-holders are up to. Please share your news with your colleagues by sending it to us. Promote yourself! When you contact us, we’ll answer personally by phone, voice mail, blog or email with a unique perspective on the latest news that affects physicians, financial advisors, medical economists and all stakeholders of the healthcare industrial complex. Our Board of Directors, Editors, Advisors, Teachers, Professors and Contributing Content Authors are passionate about making a difference in the changing financial advisory space and healthcare industrial complex. They are leading revolutionaries and change-management pioneers in their respective medical and business fields of finance, management and health economics. They have been successful in finding solutions where everyone else has found only entrenched obstacles, and in delivering quantifiable, measurable results. Moreover, our Board members are all trusted fiduciaries to whom our individual and institutional colleagues, and their consultants, turn for solutions. 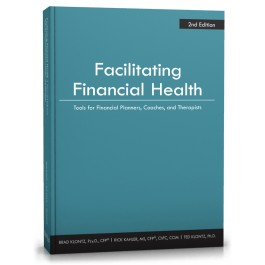 They share our vision for a new direction in the emerging and mature financial planning and medical management environment; we are grateful for their input on our online Certified Medical Planner® education and designation program. Content expert Gary L. Bode was the Chief Financial Officer for a private mental healthcare facility, and previously the Chief Executive Officer of Comprehensive Practice Accounting, Inc, in Wilmington, NC; a firm specializing in providing tax solution to medical professionals. Originally, Dr. Bode was board certified managing partner of a multi-office medical group practice for a decade before earning his Master’s of Science degree in Accounting from the University of North Carolina. He is a nationally known forensic medical accountant, financial author, educator and speaker. Areas of expertise include producing customized managerial accounting reports, practice appraisals and valuations, restructurings and innovative financial accounting, as well as proactive tax positioning and tax return preparation for healthcare facilities. Currently, Dr. 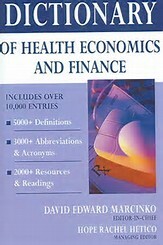 Bode is Chief Accounting and Valuation Officer (CAVO) for the Institute of Medical Business Advisors, Inc. Content expert Dr. Charles F. Fenton, a board certified surgeon and private practitioner from Temple University, also received his law degree as class valedictorian from Georgia State University. His clients include physicians involved in audits or recoupment actions, as well as disputes with insurance companies and related vendors. Dr. Fenton has authored numerous publications for physicians and the Bar and is a nationally known speaker on healthcare industry topics, serving as conference faculty or presenter for an array of healthcare companies, medical societies, and professional associations. In addition to his health-law practice, he is Chief Legal Officer (CLO) for the Institute of Medical and Business Advisors, Inc. Professor Hope R. Hetico has a well-documented history of identifying innovations in education and accelerating their adoption by the financial and medical community. She is frequently quoted in both the healthcare and business media and brings a decade of entrepreneurship, and creative leadership skills to mission. Formerly, she was a healthcare administrator, financial advisor and insurance professional who earned a Master’s Degree in Healthcare Administration from the University of St. Frances in Chicago. She was also a Certified Professional in Healthcare Quality and National Corporate TQI Manger for both Abbey Healthcare in Costa Mesa, California and the Apria Healthcare Group (NYSE-AHG). Her specialty is HIPAA, OSHA, CLIA and Medicare compliance and related forensics. Ms. Hetico is responsible for leading our Health Dictionary Series to the top of the exploding B2B educational marketplace, while continuing to nurture a rapidly expanding list of healthcare subscribers and purchasers. She champions the visually impaired. Founder and Chairman since inception in July 2004, Dr. Marcinko is a healthcare economist and financial planning evangelist from Loyola University Maryland, Temple University in Philadelphia, and the Keller Graduate School of Management in Chicago. His formal internship education and residency training was completed at the Atlanta Hospital and Medical Center (AHMC) in Georgia, with fellowship confirmation in Las Vegas Nevada. He received his financial planning diploma from Oglethorpe University in Atlanta, and is a fiduciary and former Registered Investment Advisor (RIA) rep and CERTIFIED FINANCIAL PLANNER™ certificant. 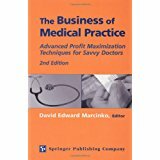 As a clinician, surgeon and past president of a privately held regional physician practice management corporation in the Midwest, he helped consolidate 95 solo medical practices with $50 million in gross revenues, as the company’s IPO roll-up attempt was aborted due to adverse market conditions in 1999. A nationally recognized leader in the health and financial information services industry; he is a pioneer in utilizing technology to improve quality education while simultaneously reducing delivery costs. He was also managing partner of a successful Ambulatory Surgery Center (ASC) that was sold to a publicly traded company in 1998; a Board Certified Surgical Diplomate and Fellow of the American College of Foot and Ankle Surgeons; and interim Chief Visionary Officer for a B2B telecommunication firm that failed in its bid for venture capital, but flourished in the private sector. 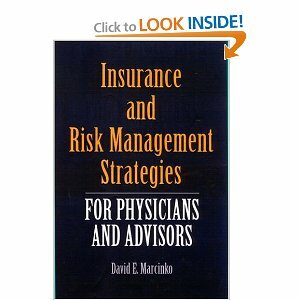 Dr. Marcinko was a registered representative with Sun America Securities and AIG; held general securities (Series #6 and #7), uniform securities state law (Series # 63) and registered investment advisory representative (Series # 65) licenses from the National Association of Securities Dealers (NASD). He is a Certified Physician in Healthcare Quality (CPHQ); a certified American Board of Quality Assurance and Utilization Review Physician (ABQAURP); a member of the American Society of Health Economists (ASHE) and the International Health Economics Association (iHEA); a member of the American Health Information Management Association (AHIMA) and the Healthcare Information and Management Systems Society (HIMSS); a member of the Microsoft Professional Accountant’s Network (MPAN); registered member of the US Microsoft Partner’s Program (MPP); member of the Microsoft Health User’s Group (MS-HUG), and BioInformatics.org; Sun Executive Boardroom program member sponsored by CEO Scott McNealy; and member of SUNSHINE [Solutions for Healthcare Information, Networking and Education], an international community for healthcare IT innovation created by HIMSS and Sun Microsystems, Inc (NASD-SUNW). He was also a life, disability, health, property-casualty, annuity and insurance professional for the State of Georgia. After a brief stint as a visiting instructor in finance and healthcare administration at several business and graduate schools in the Southeast, he was appointed Academic Provost of iMBA Inc., to lead the firm’s adult online learning (heutagogy) initiatives as an educator, interactive website engineer, Office and Windows Vista operating system beta-tester for the Microsoft Corporation of Redmond, Washington (NASD-MSFT). As CEO, Dr. Marcinko is also a content expert for the American College of Physician Executives (ACPE) who lectures on health economics, financial planning and administration, risk-management, health policy and related medical management topics throughout this country and Europe, in an entertaining and witty fashion. He is available to colleagues, clients or the media at the Atlanta corporate office. Assistant Professor Rachel Pentin-Maki received her nursing degree from the Community College of Springfield Ohio, and her Master’s Degree in Healthcare Administration from Lewis University in Evanston, Illinois. 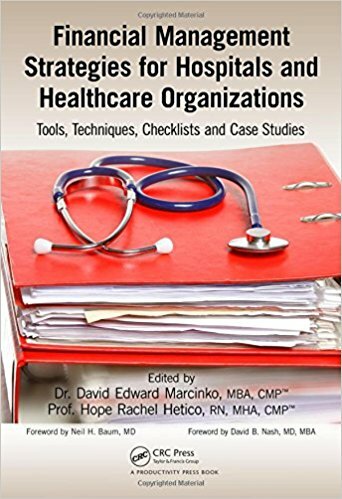 Formerly, she helped edit several medical, financial, health economics and business textbooks, and is a nationally known expert in medical staffing and human resource management. Prior to her part-time educational duties, she was CXO for the Finnish Retirement Hospital, Lantana, Florida. 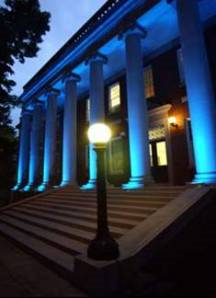 Currently, she is on the Board of Directors at Finlandia University (Suomi College) in Hancock, Michigan, while leading our European initiative in Helsinki, Finland. Dr. Eugene Schmuckler was Coordinator of Behavioral Science at the Georgia Public Safety Training Center and a licensed psychologist. He is on the board of directors of the Association of Traumatic Stress Specialists and is a certified trauma specialist. Dr. Schmuckler is an international speaker and author, with publications translated into Dutch and Russian. He is Director of Mentoring, Coaching and Behavioral Finance, and Dean of Admissions and Students for the Virtual Campus online CERTIFIED MEDICAL PLANNER™ professional designation program from the Institute of Medical Business Advisors, Inc.
Ann Miller is iMBA Executive-Director of media and professional relations. She earned an undergraduate degree in economics, with minor in finance and accounting from the University of Georgia, and a graduate degree in communications from the same institution. The CERTIFIED MEDICAL PLANNER® on-line professional designation program matriculation and application submission process. You may contact us at MarcinkoAdvisors@msn.com for assistance in completing an application, or call us at 770-448-0769. Down load or print out the application form [links below]. Snail mail or e-mail return the completed form. Allow 2-6 weeks for background checks and acceptance / rejection decision notification. A telephonic interview may be required in certain cases. An undergraduate college degree [baccalaureate BS/BA] is required along with written attestation of fiduciary accountability and one professional competency recommendation. Mail in a tuition check or money order for $6,250 made out to the Institute of Medical Business Advisors, Inc – our sponsor and corporate accrediting agency: iMBA Inc, Suite #5901 Wilbanks Drive, Norcross, GA 30092-1141. Quarterly tuition payments of $1,500 are permitted. Books are additional. If accepted, this represents a $250 non-refundable application fee. If not accepted into the program $6,000 will be refunded, but the credentials verification and application fee of $250 will be retained. No tuition refund possible once class commences. Ideal for the “traditional” student who requires a “live” instructor. NOTE: Advanced credit may be given for some degrees, designations and prior experience. Please contact us for more information. Mail in a tuition check or money order for $4,250 made out to the Institute of Medical Business Advisors, Inc – our sponsor and corporate accrediting agency: iMBA Inc, Suite #5901 Wilbanks Drive, Norcross, GA 30092-1141. Quarterly tuition payments of $1,000 are permitted. Books are additional. If not accepted into the program $4,000 will be refunded, but the credentials verification and application fee of $250 will be retained. No tuition refund possible once class commences. Ideal for the “motivated” student seeking “automation” [no “live” teacher or virtual classroom involvement] to save time and money! NOTE: Quarters are interchangeable based on user experience and preference. 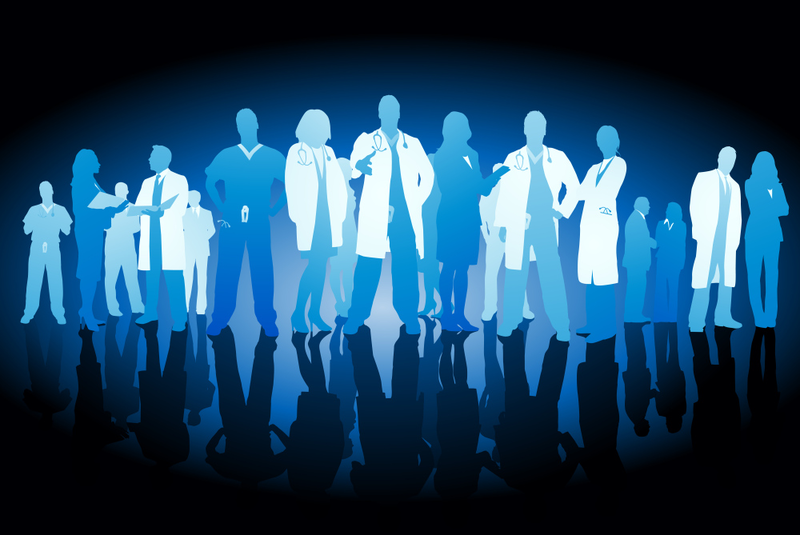 The Medical Executive-Post is our companion social-media blog and communications forum for real-time professional interactions. As an emerging online and onground community, we strive to inform and connect medical professionals, financial advisors and management consultants. We participate in a variety of insightful educational seminars, teaching conferences and national workshops. We produce journals, textbooks and handbooks, white-papers, CDs and award-winning dictionaries. And, our didactic heritage includes innovative R&D, litigation support, opinions for engaged private clients and media sourcing in the sectors we passionately serve. All are highlighted on our social-media blog. 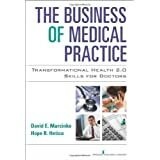 Through the balanced collaboration of this rich-media sharing and ranking forum, we have become a leading professional and social network at the intersection of healthcare administration and practice management, medical economics, business and financial planning for doctors and their consulting advisors and clients. 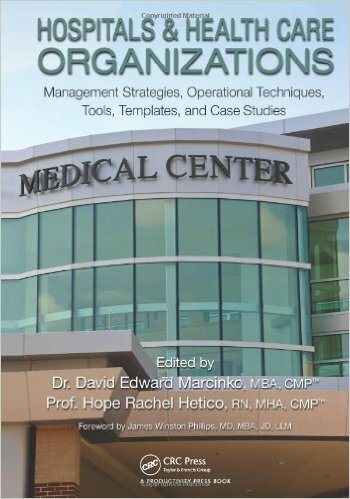 Even if not seeking our products, services, or the Certified Medical Planner™ desgination, we hope this knowledge-silo is useful to you. The CERTIFIED MEDICAL PLANNER™ charter designation program is a live, and instructor led, online asynchronous educational program. This intimate and personalized team approach is designed to increase your health industry management experience, business knowledge and financial advisory affinity for physician clients in an honest and ethical fashion. And, as you climb this didactic professional career peak, even the most demanding doctor clients seem attainable and in reach! We provide 500 hours of education during a 12 month period that comprises four quarter-mesters with a customized curriculum based on prior education and experience. Adult learners should plan on spending 5-10 hours per week on course study and related activities. The program may be crashed under special situations and/or delivered on-ground, in groups of motivated learners, upon request. The formal curriculum is outlined in our required textbooks, on this website and often modified based on prior applicant education and experience. But, no advanced credit is given for other certification or degree holders. Knowledge is critical, and reliable knowledge must come from a reliable source. That’s why iMBA Inc is your best choice for modern physician advisory education solutions. Long recognized as the national leader in advancing the knowledge and skills of financial advisors and medical management consultants, we design training that offers individualized, or turn-key, delivery and management of your distance learning needs. And, our superior service stands ready to support adult learners and their training infrastructure. So, whether you need an individualized custom education program or a turn-key solution that will expand the capacity of your financial advisory training and education department – iMBA Inc make us a worthy partner – online or onsite. Want increased access to today’s busy clinicians and medical practitioners? You need to bring more value to your interactions. Whether you’re seeking specific content to close a knowledge gap, or a more comprehensive program of study with the Certified Medical Planner ™ charter marks, we’ll help you deliver value by giving you near round-the-clock access to the latest, most respected content. Our content uses stimulating books, graphics, texts, real-world case studies, glossaries, online content and web blog digital enhancements to guarantee your role as an engaged participant in your professional development – all with a “live” instructor. iMBA Inc offers you education in short e-learning chapter modules, or complete programs, with continuous education to support your professional goals. Our content can be delivered in print or online to suit the way you learn best. Our web-based professional development library, with “live” instructor, is almost always open 24/7/365 so you can learn on your schedule and minimize time away from job responsibilities. 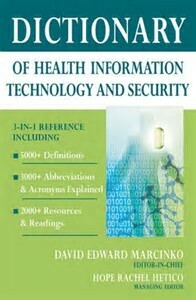 Accredited and sponsored through a generous grant from the Institute of Medical Business Advisors, Inc. Ideal for cost-constrained and motivated professionals. Our new computerized accelerator option saves time & money. 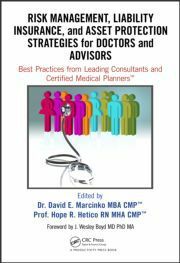 Become a board CERTIFIED MEDICAL PLANNER® today. Ideal for traditional on-line students and adult learners seeking to differentiate themselves with deep insider "niche" knowledge of an exciting, growing and lucrative; yet challenging space. 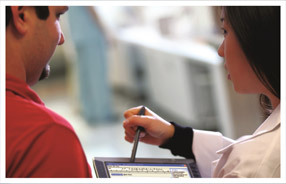 Become a CERTIFIED MEDICAL PLANNER® today. The Medical Practice as a Discrete Asset Class? Free white-paper upon e-mail request. 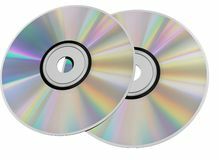 Our oeuvre’ of text books, journals, CD-ROMs and working white-papers is growing along with our industry stature and reputation [Redacated in medical, graduate and B-schools, and available from Alibris, Barnes & Noble, and Amazon; etc]. 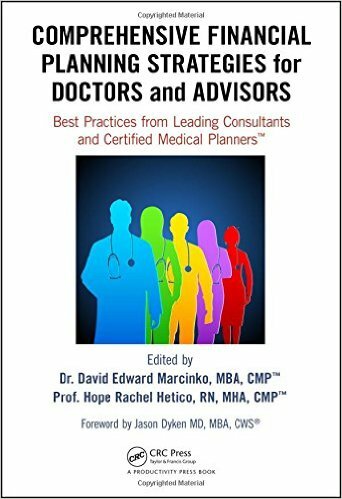 LEADING THE PHYSICIAN FOCUSED FIDUCIARY ADVISOR REVOLUTION!